Bulldog Winch of Phoenix, Arizona was one of the first companies to sponsor our Jeep build. I had to look at the winch in its cardboard box, sitting in my office, way too long before we were able to add it to the Jeep. 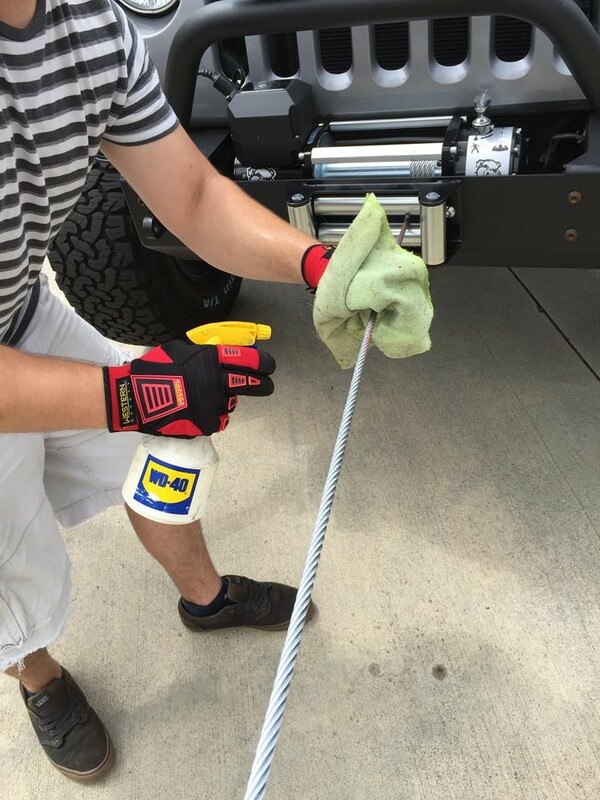 I chose the 8000lb winch, model 10001, with 5.25 hp and 100′ of wire. 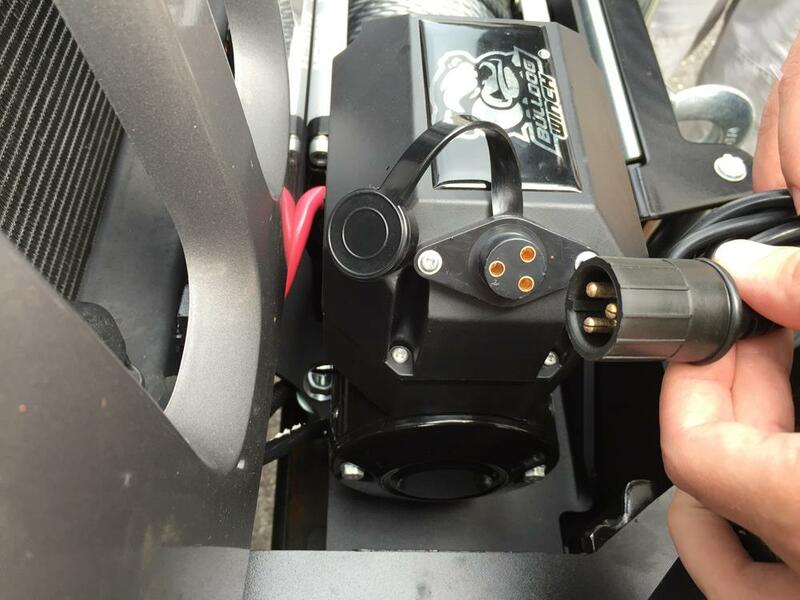 While not being the top of the line synthetic rope winch, model 10014, it seemed like this model would fulfill all of my basic requirements. 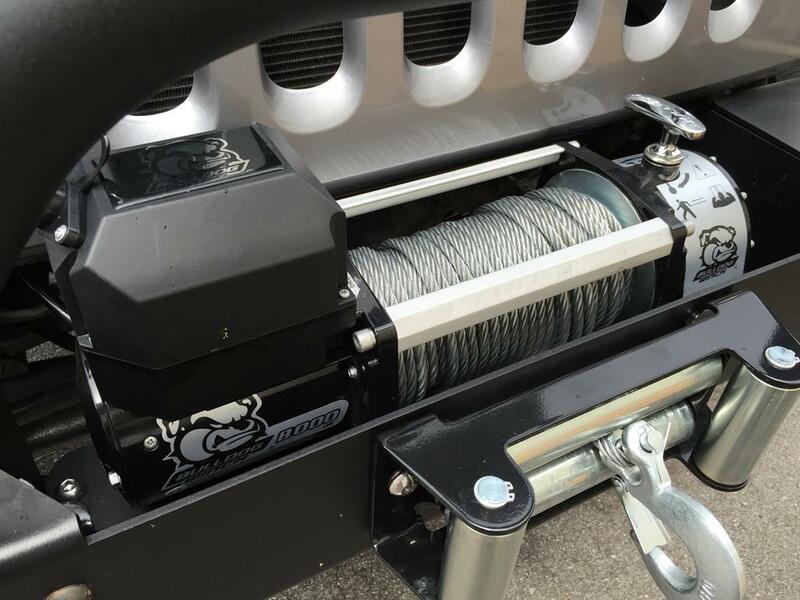 Bulldog has higher weight rated winches in their Standard Series and even higher quality winches in their Alpha Series, but I was thrilled with my choice. 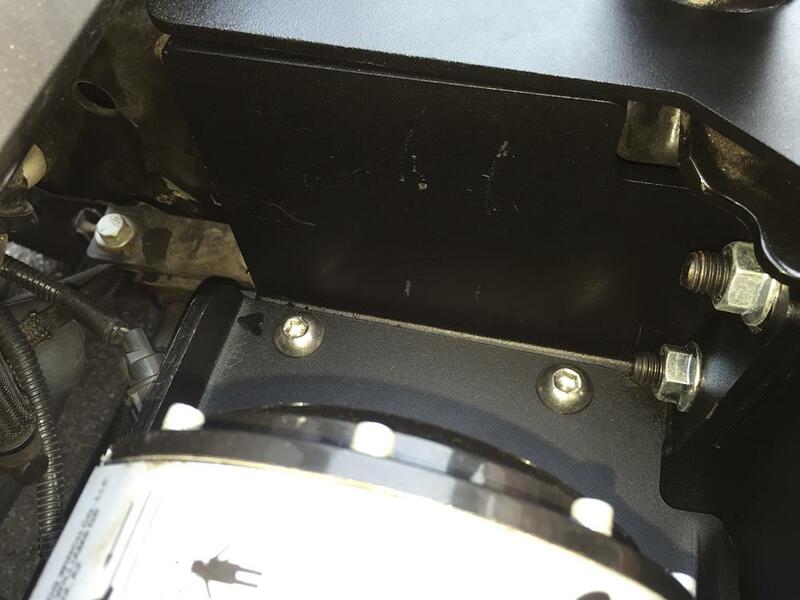 To begin installation, I had to bolt the winch to the OR-FAB 1/4″ thick winch plate. The winch plate angled down into the bumper and was bolted to the side plate brackets that were then bolted to the horns of the Jeep. 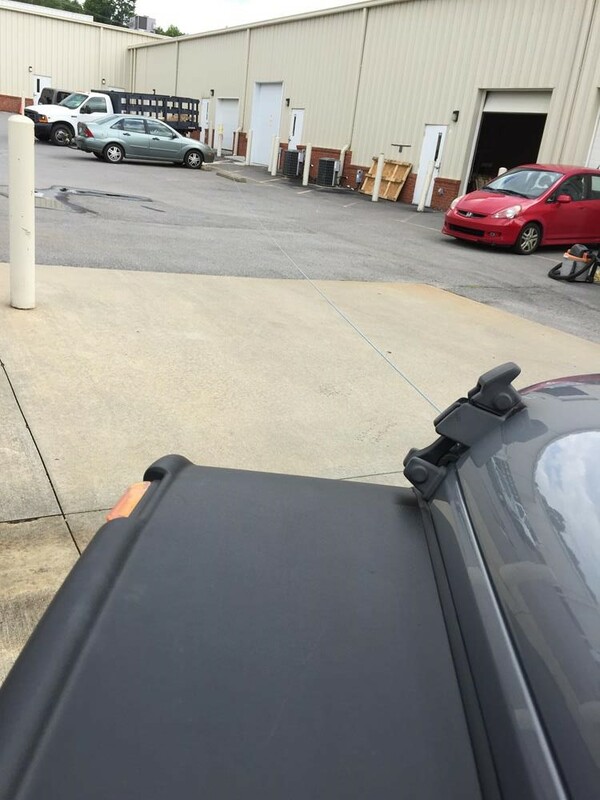 The front of the winch plate also bolted directly to the bumper. *Hernia Alert* I recommend (2) people to lift the winch/winch plate assembly into the bumper (you are probably looking at 80 + 12=92 lbs total). 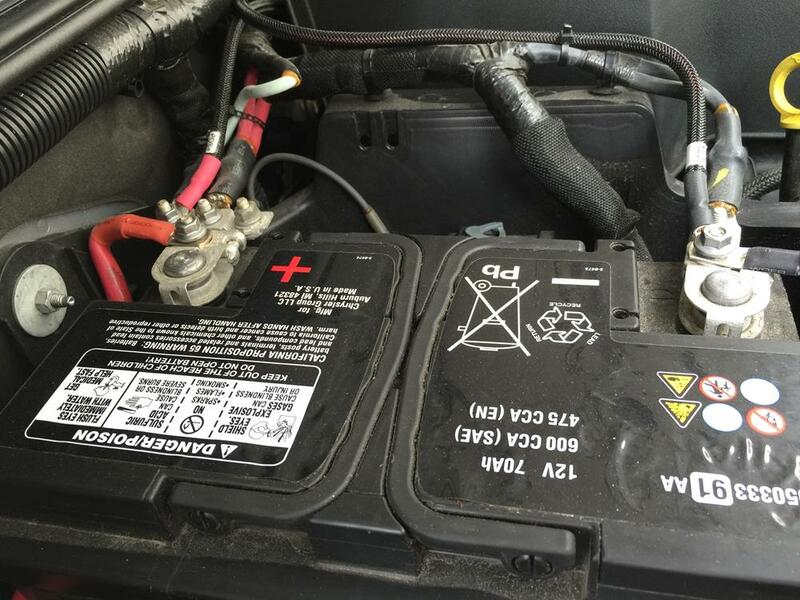 Next, I needed to run the leads from the winch to the battery. 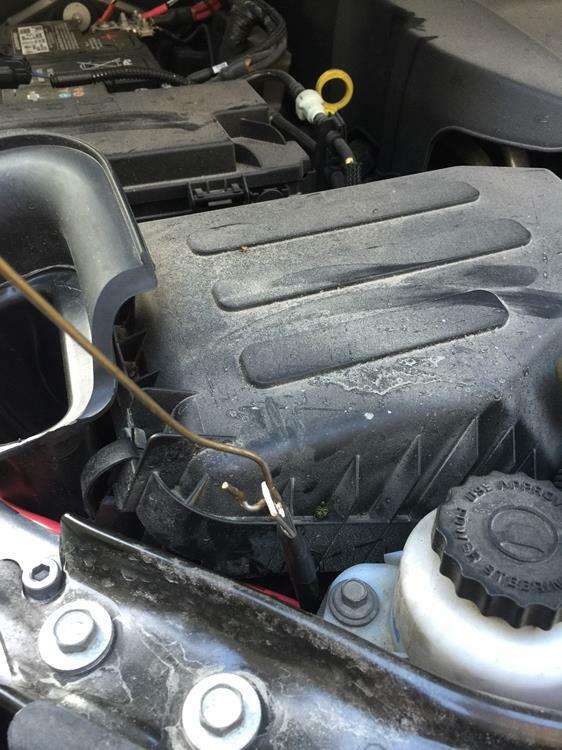 Using a standard coat hanger, I was able to pull the leads through a small gap in the engine compartment. The leads are supplied at just the perfect length, not too long, requiring you to tie off extra length, and not too short, causing the battery to be lifted off its pedestal. As an added bonus, the silver and black colors of the winch match my Jeep perfectly. Now to try it out! We needed to complete the initial spooling of the winch. We disengaged the clutch shifter on the right side of the winch and freespooled the cable out by hand. It was a good opportunity to wipe on a thin coat of WD40 to help prevent the cable from rusting. …re-engaged the clutch shifter, and attached the winch’s shackle to a tree strap that was wrapped around a parking lot pylon. Then we used the winch to pull the Jeep across the parking lot. Strangely enough, none of our neighbors decided to drive out while were were winching?? We pulled the shackle slowly into the fairlead and the initial spooling was complete. Now, the winch is ready when duty calls. Thank you Bulldog Winch for a the confidence we have to head off road.